To replace the Yearbook, we are working with Seahorse Magazine to produce exclusive IRC editions of the magazine through 2019 which will be available online for current IRC Members. These will include specific IRC content similar to that previously included in the Yearbook and we hope you find it informative and useful. 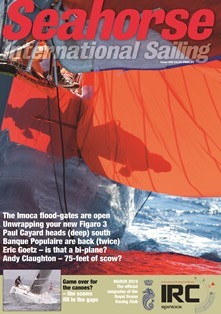 The first exclusive IRC edition of Seahorse is now available. Click the cover photo to access this and future issues with your IRC certificate number and the Seahorse passcode shown at the bottom of your certificate. The IRC Rules are available on the IRC website and are also printed in the 2019 RORC Notice of Race. 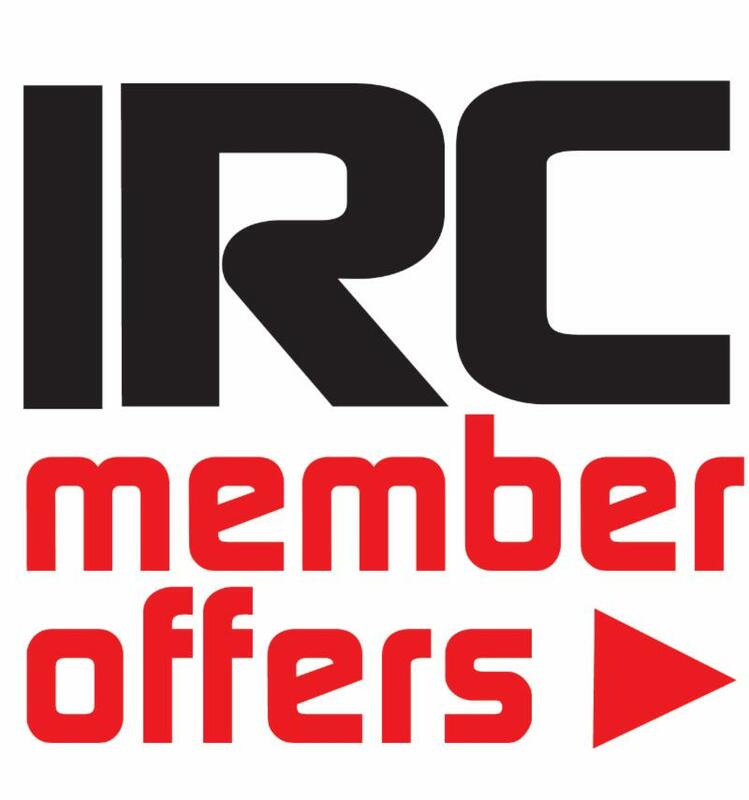 IRC applications numbers are very encouraging for 2019 and we are excited to see a significant number of applications from owners that are new to IRC. 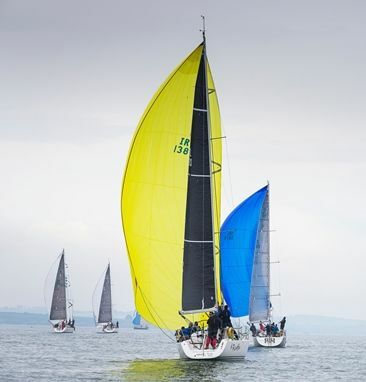 We look forward to another great year for IRC racing at the events at local clubs around the country and at our IRC regional championships and the IRC Nationals. A large number of owners are now seeing a reduced rating as they carry fewer than 3 spinnakers. We are pleased that this Rule change for 2019 is benefiting those boats for which it was intended. Your IRC certificate may be 'Standard' or 'Endorsed', with an Endorsed certificate being one where the data has been verified, often by weighing and measurement. However, even for a Standard certificate there are several checks completed when we process the application. These are firstly against the data and configuration for other boats of that design if a production boat, but also for any apparent anomalies that may indicate an application error or a novel configuration. These are sometimes simple to resolve, or we will check with the owner or measurer to confirm information or resolve any errors. 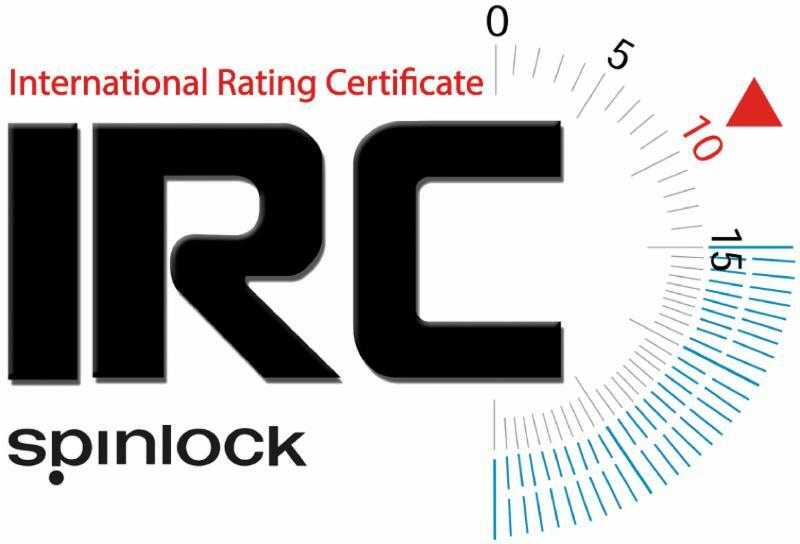 ﻿This diligence for every certificate is integral to the fair playing field for IRC, resulting in more accurate data for the IRC rating calculation and allowing owners to focus on their sailing. We are pleased to welcome Sally Moss to our small team. 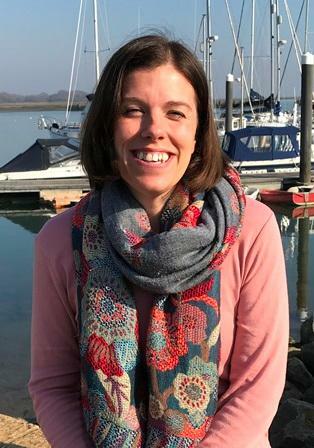 Sally joined us at the end of February and will be working with the Technical Team on IRC certificates as well as some general administration. With a background in customer service and hostessing with flotilla sailing holidays, and a trained dinghy instructor, Sally knows her way around a boat and also sails a Folkboat with her husband Simon and dog Alfie. The Rating Office continues to strive to provide the best service to our owners and that includes the measurement of boats to obtain an IRC certificate. It is a requirement that weighing for an Endorsed IRC certificates is carried out by a RORC measurer using Rating Office weighing scales. 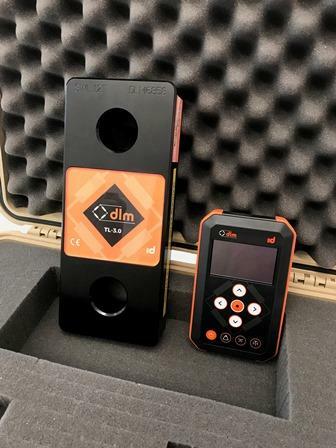 We have recently updated our equipment by purchasing a new set of 7.5 Tonne and 12 Tonne maximum capacity scales from Dynamic Load Monitoring (DLM). These scales offer industrial grade high accuracy and flexibility with wireless telemetric display. ﻿To arrange for your boat to be RORC weighed and/or measured please contact us. 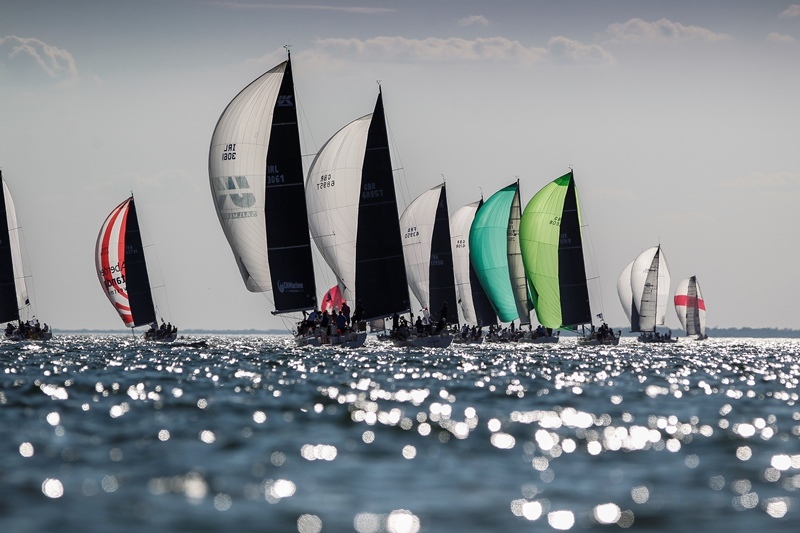 The first GBR IRC Championship of 2019 will be the start of the Solent Championship with the Royal Southern Regatta on 11/12 May, closely followed by the Scottish Championship 24-27 May. 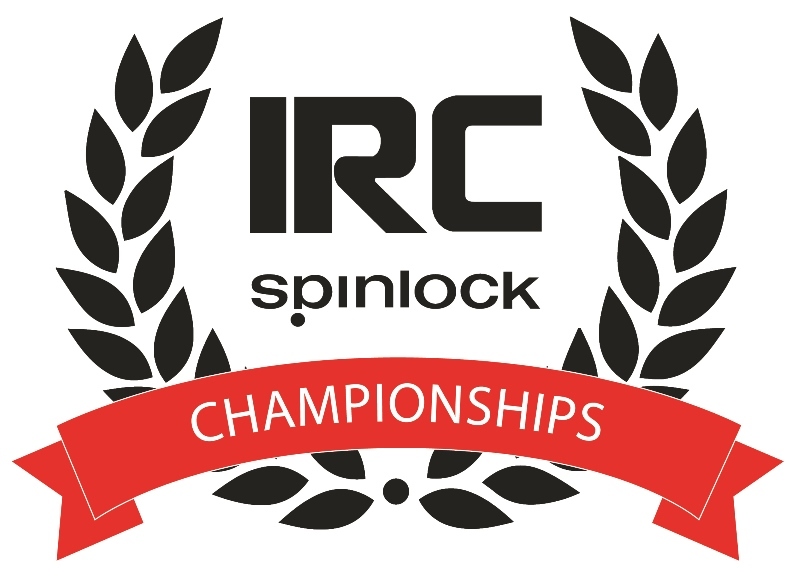 This year IRC sponsors Spinlock are generously a trophy, rucksack, VITO lifejack and £250 voucher to each championship for the winners. Click here to see the list of the 2019 Championships.